Anyone who is interested in exploring ideas about race and participating in thought provoking group discussion. Where will the dinners be held? Dinners involving 8 to 10 people will be held simultaneously throughout the city at different locations in homes, churches, businesses and restaurants on the Martin Luther King, Jr. National Holiday each year. After registering, participants are assigned a dinner location balancing diversity at each table. Participants are asked to arrive promptly at 6:00 p.m. Participants are assigned to a dinner table. The evening includes an icebreaker, dinner, and discussions centered on questions that the participants select from a card deck and provide a response. The questions focus on personal experiences, values, beliefs, fears, needs, and goals. Each participant will have several minutes to share thoughts and reactions, with limited inquiry from other participants. An open mind and willingness to share personal experiences. Trained facilitators will lend structure to the evening and utilize established techniques designed to minimize debate and maximize understanding among people representing different backgrounds and cultures. The program design allows for 90 minutes of discussion with a target completion time of 9:30 p.m.
Is there a fee to participate in the Dallas Dinner Table? No, there is no charge to attend. Dinner is provided through the generosity of our hosts. How do you cover the cost of staff, the website, handouts, etc? The organizers, facilitators and hosts are all volunteers. We welcome donations to help cover the cost of software development, printing, etc. ; click here to donate now. All donations are greatly appreciated, thank you. Smoking is not permitted in any of our host locations during the Dallas Dinner Table event. What time is the Dallas Dinner Table? The Dallas Dinner Table begins at 6:00 pm and ends by 9:30 pm on the Martin Luther King, Jr. Holiday, the third Monday of January each year. Please be on time. Remember, we have a limited number of seats. If you know in advance that you will not be able to attend, please contact us at info@dallasdinnertable.com so that we can make that seat available to someone else. Will everyone who registers be invited to participate? Participation will be limited by the number of hosts and the number of facilitators. We want to assure that each table has a diverse group of participants. People will generally be assigned to tables in the order that they registered, but subject to the need to balance participants at each table. Everyone will be notified the week before the event. Why is the Dallas Dinner Table scheduled in January when the weather may be risky? The event date each year is the third Monday of January, to coincide with the national Martin Luther King, Jr. holiday. In his most famous speech, Dr. King reminded us that “our fates are intertwined.” Talking to each other over dinner is an appropriate way to remember and build on that idea. To sign up, complete the registration information on the Register page of this website, once registration has opened. Registration will close two weeks prior to the event or earlier if capacity is met. Why do I have to provide personal information and what will you do with it? To assure diversity at each table, we need certain information about each participant. The personal characteristics information is used only for that purpose and is not shared with anyone nor any other organizations. Your contact information is needed to ensure that we can communicate with you. Nice, casual clothing is appropriate. I’m a vegetarian or have other dietary restrictions? Will I be able to eat at the event? Hosts are asked to be mindful of the diversity of cultures participating in the Dallas Dinner Table event. For example, hosts are asked to include salad and to avoid some meat products in their dinners. During the week before the Dallas Dinner Table event, you will receive an email communication advising you where we have reserved a seat for you. All locations will be in the greater Dallas area, including the city itself and the suburbs. No. Dallas Dinner Table is an opportunity to share experiences and exchange ideas with people outside of your normal acquaintances. Hopefully, you’ll share the perspectives from your Dallas Dinner Table experience afterward with your regular acquaintances. Can a couple sign up together? Yes. When registering as a Guest, you will be asked if you want to register a second person. If you select that option, you will be asked to provide details about the second person. Facilitators guide the conversation using proven techniques. Facilitators will be provided with guidelines and materials to use during the dinner, and they will be required to attend a training session in December. Do Facilitators participate in the conversation? Yes, Facilitators may be a part of the conversation but are encouraged to ensure that the hosts and guests are all included in the conversation as their primary focus. What is expected of a Host? 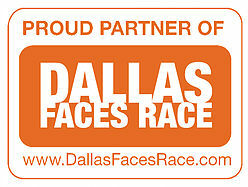 The Dallas Dinner Table is dependent on your generosity in hosting one or more tables, and we are very grateful. As a host, you are expected to provide dinner for the number of Guests for which you signed up. We ask that you provide a comfortable, smoke-free area where your Guests can hear each other talk and where they will not disturb others. We will provide a trained facilitator for each table. You may serve whatever you like, but recognize that your guests will come from a variety of cultures and backgrounds. Some may not eat meat, so including a salad is always a good idea. We also encourage you to avoid some varieties of meat, such as pork products. Serving buffet style works well, but you should do whatever works best in your environment. How many people should I expect? Tables must be able to seat a minimum of eight (8) people and a maximum of ten (10); that number includes a Facilitator at each table. You are welcome to host as many tables as you wish. When you register as a Host, we will ask you for the number of tables and the number of seats at each table of those tables; all tables do not have to have the same number of seats but they must have a minimum of eight (8) and a maximum of ten (10) seats at the table. We try to fill every table with a diverse group of Guests, including a Facilitator and up to two seats that you can reserve for yourself and your helpers. Yes, hosts are welcome to participate. During registration, a host may reserve up to two (2) seats per table. Usually, you will keep one of those reserved seats for yourself. Can I reserve seats for helpers or co-hosts? Yes. During registration, you can reserve seats for yourself and helpers or co-hosts. A host may reserve up to two (2) seats per table. Can I request a specific Facilitator or Guest? You can assign anyone you wish, except registered Facilitators or Guests, to the seats you reserve. Usually you will want one of those reserved seats for yourself. Hosts are limited to two reserved seats per table to provide a variety of new perspectives and experiences at every table. We will assign a Facilitator and Guests to the remaining seats, but never more than the maximum number of diners that you specified. Dallas Dinner Table is an opportunity to share experiences and exchange ideas with people outside of your normal acquaintances. Hopefully you’ll then share the perspectives from your Dallas Dinner Table experience with those regular acquaintances.